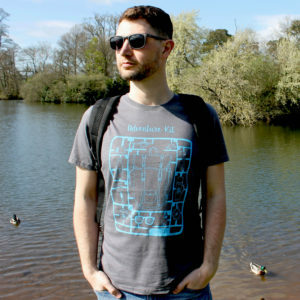 Boodle – Organic T-shirts, home wares and greetings cards inspired by animals, nature and adventure. 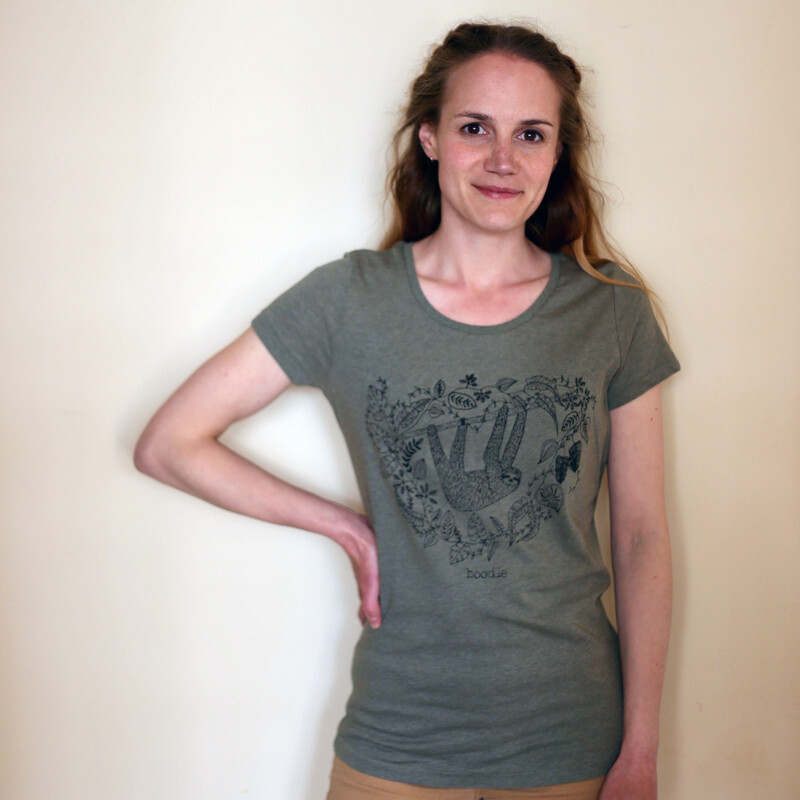 Womens clothing, hand screen printed in the UK. 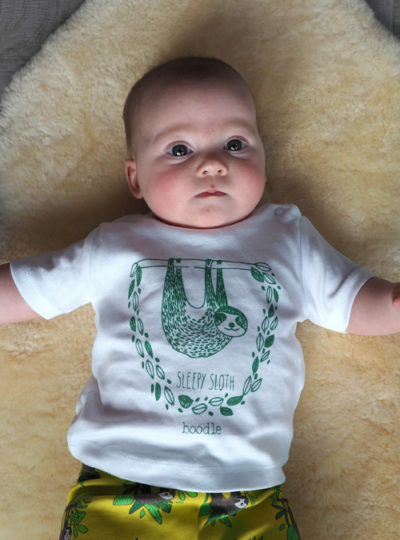 Fun organic clothing for children and babies. 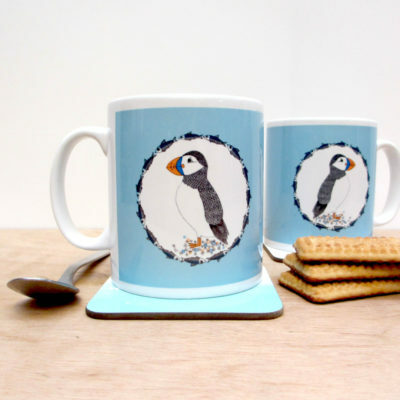 Boodle is a Bristol based designer maker; designing and making all products to make sure they are produced as ethically as possible without loosing any elements of design. 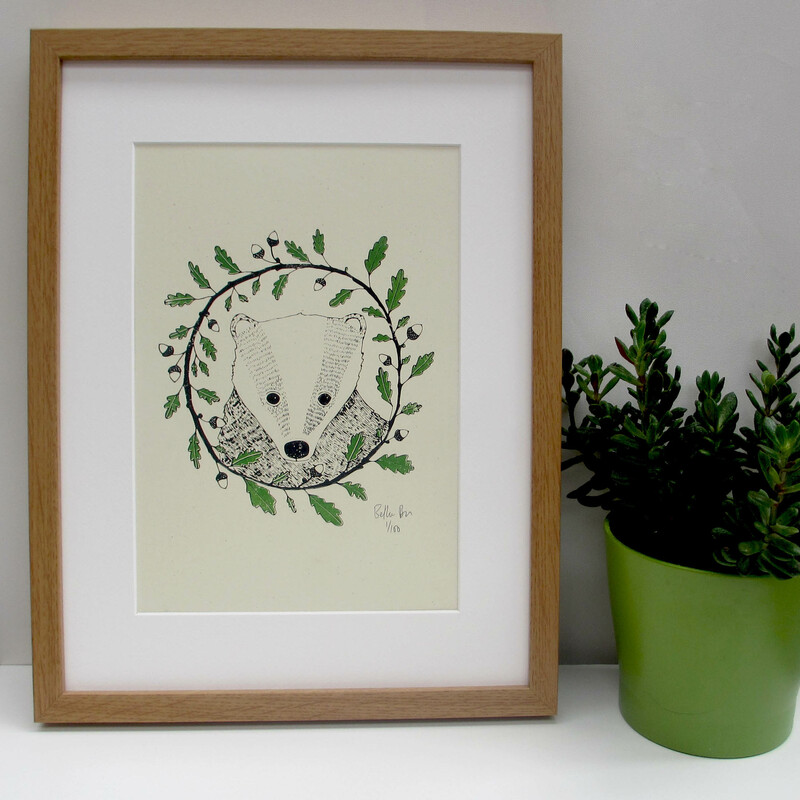 Boodle designs an illustrates everything using pen and ink, and then screen prints everything by hand in her studio in Bristol. 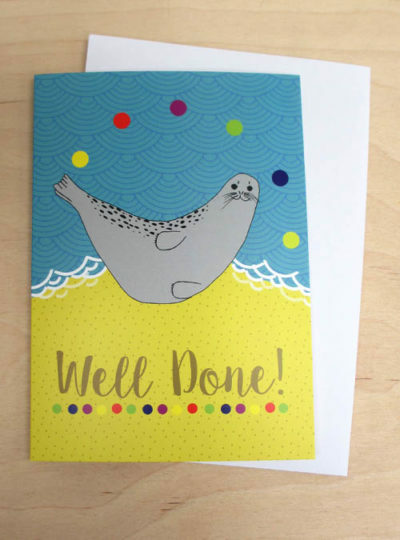 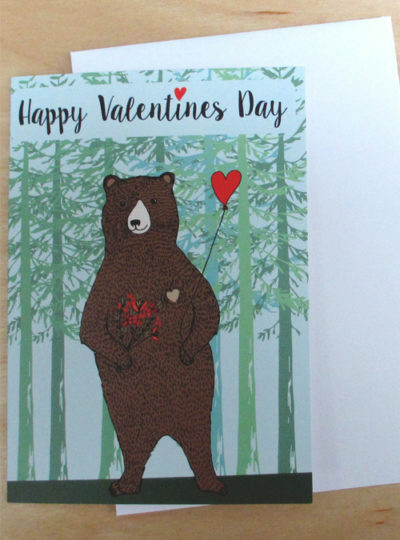 Animals, nature and adventure are the main inspirations for her work, creating fun and original designs which are then applied to clothing, home wares and greetings cards. 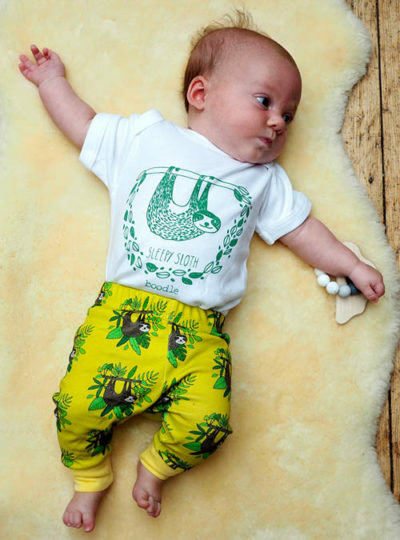 These baby leggings are handmade in our studio in Bristol. 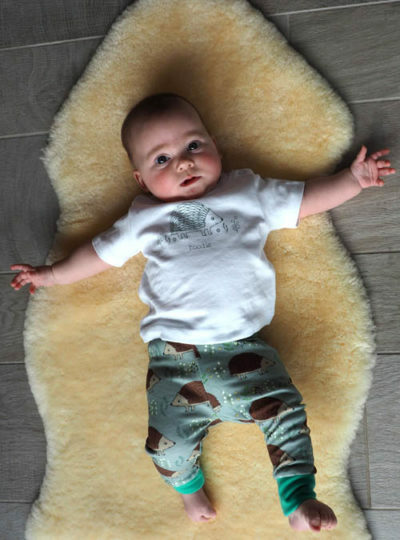 Made from organic cotton with an exclusive repeat pattern, making these leggings very unique. 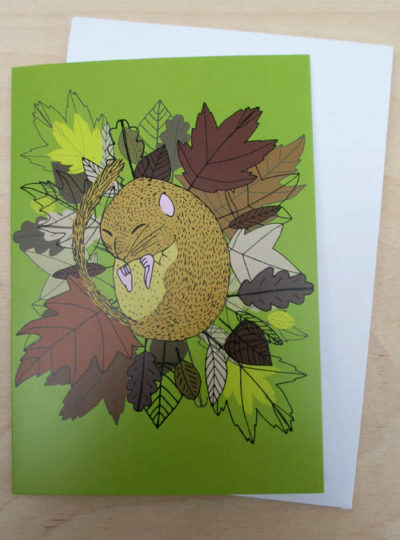 Featuring a repeat pattern of a some cute hedgehogs and foliage. 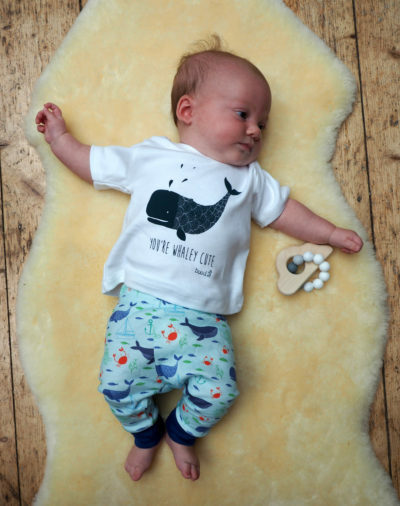 Perfect for boys or girls, this super soft material is perfect for any baby. 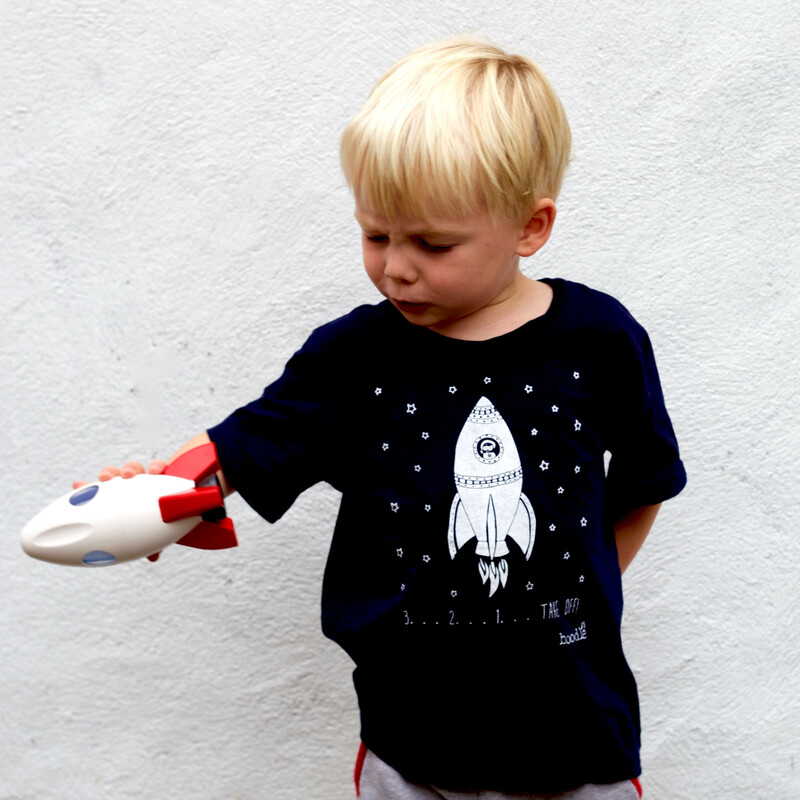 Available in 0-3, 3-6, 6-12 and 12-18 months. 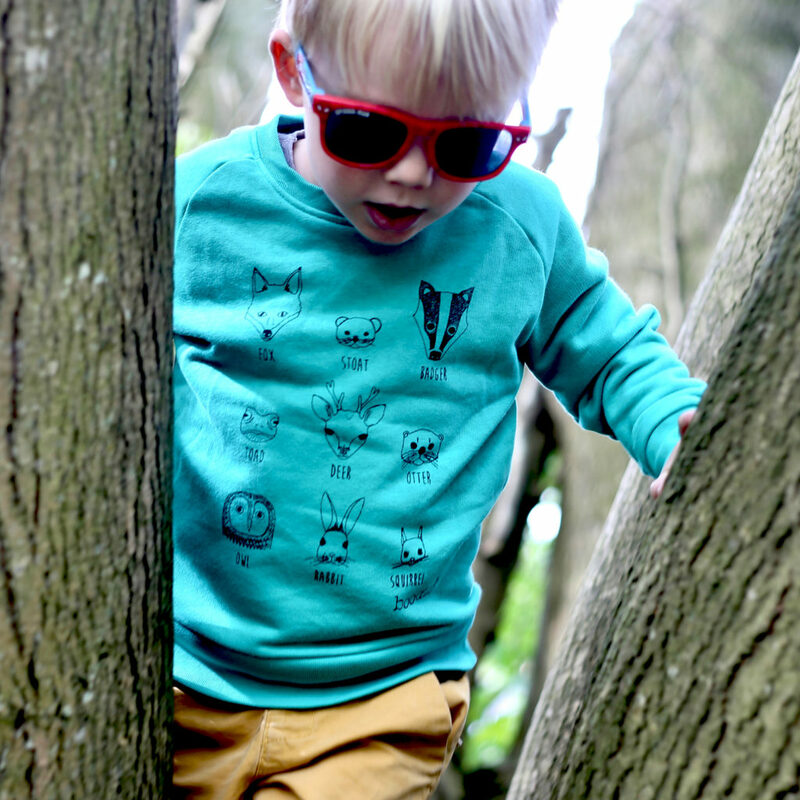 ‘Animal faces’ organic kids sweater is a lovely bright green kids sweater, featuring the faces of some of Britains favourite wild animals. 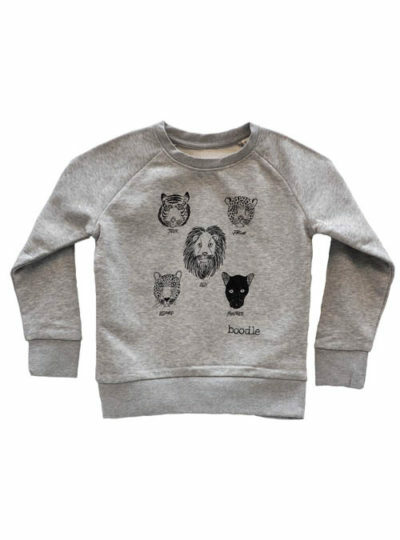 This fun design is perfect for any animal loving kid. 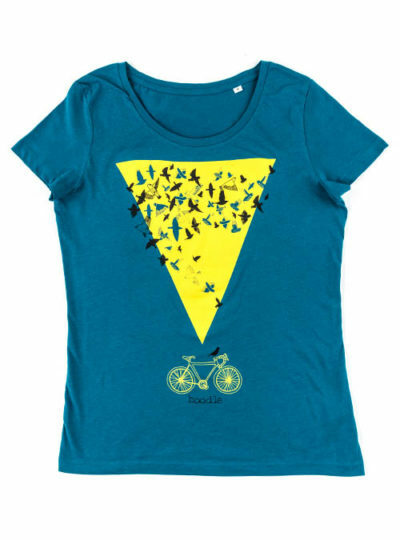 Perfect for boys and girls with a sense of adventure. 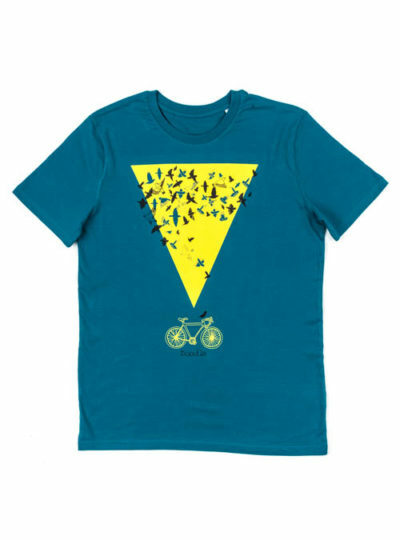 Available in: 3-4 years, 5-6 years, 7-8 years and 9-11 years. 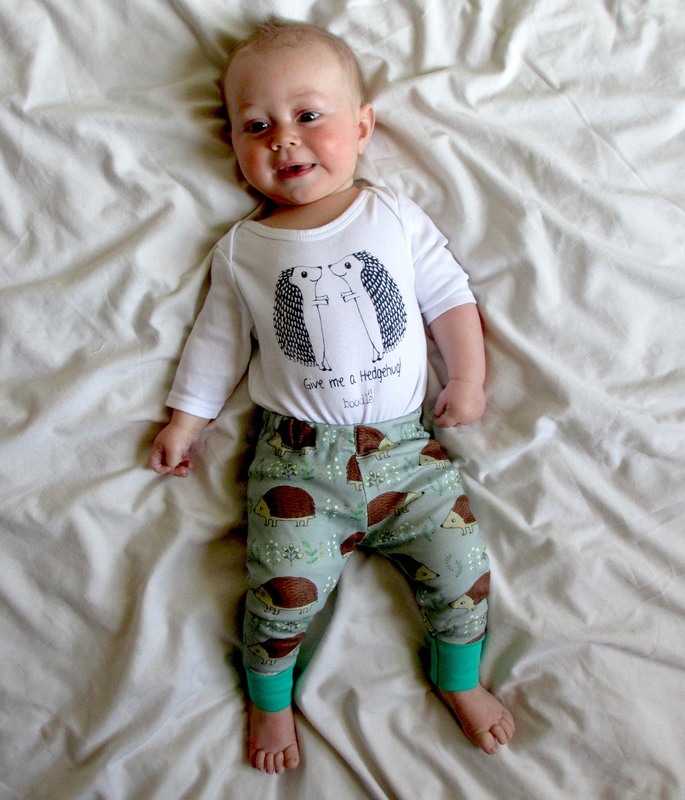 Owl baby outfit. Organic leggings and T-shirt set. 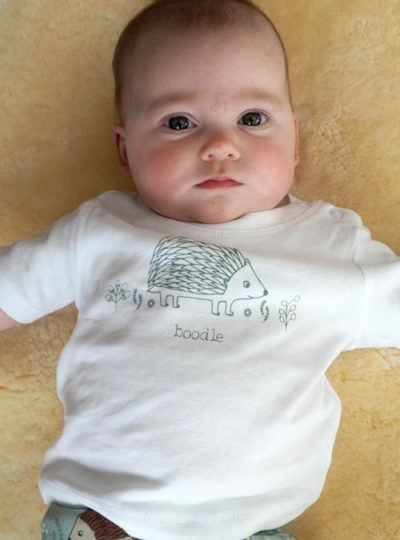 Our selection of organic baby clothing, perfect for boys and girls.